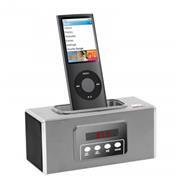 Zenex Docking and charging speaker provides great sound that is perfect for your music, games or apps. Zenex Docking and charging speaker features alarm clock radio that allows you to wake and sleep to radio or tone. Speaker allows you to charge and play your Android smartphone.